There has been a much welcome flow increase recently; but get there quick, it will not last long. Currently 105cfs. 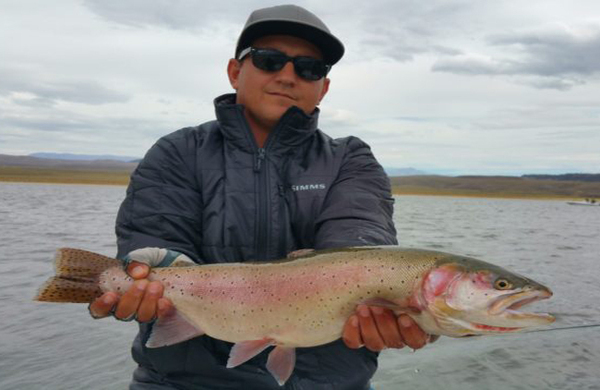 The cooler mornings have improved overall conditions making the fish more active. Some bigs are becoming easier to reach as the flows have lowered. There remain issues with aquatic weeds in the slower sections. Focus on the deeper pockets & pools. The slower runs are choked with weed. Properly weighted nymph rigs fished in the faster riffle water downstream will get you a shot at a larger browns. Attractor patterns like Drifters Crawlers, & SJ worms can get the bigs to move. Strong caddis, midge, mayfly, & damsel fly hatches are going off. Try larger Assassins, FB PT’s. and damsel nymphs. Hi-vis caddis, and hoppers are targets for surface feeders. Lob some Loebergs, Punk Perch, or damsel nymph streamers for a shot at bad LeRoy brown during low light periods.